On September 2, 1914, Fred Ruiz Castro, a well-known jurist and former Chief Justice, considered as Father of the Integrated Bar of the Philippines, was born in Laoag, Ilocos Norte. 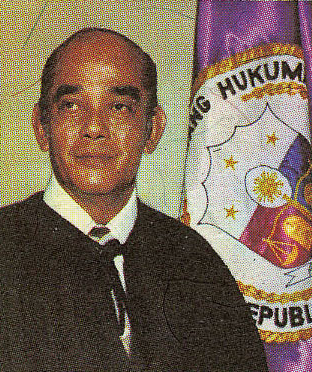 He was Chief Justice of the Philippines from January 5, 1976 until his death on April 19, 1979 while on an official trip to India. He was one of the advocates for the integration of the Philippine Bar, paving the way for the establishment of the Integrated Bar of the Philippines in the 1970s. Notably, he is also behind the creation of the Supreme Court Reports Annotated, which is currently the voluminous source of decisions of the Supreme Court used by law practitioners and students. Castro approved of the Martial Law years, as reflected in his decisions, opinions and public statements. In one of the cases involving the writ of habeas corpus of President Marcos' critic Senator Benigno Aquino, Jr., he said, in a concurring opinion, that the declaration of Martial Law automatically suspends the application of the said writ, thus effectively depriving the former senator of such privilege. Justice Castro was born to Dr. Santos Foronda Castro and Engracia Acosta Ruiz, the 9th of 13 children. He attended elementary school in his hometown and in Angeles, Pampanga. He finished high school in three years at the University of the Philippines (UP) in 1930. Justice Castro then obtained his Associates in Arts from the UP College of Liberal Arts in 1932, and LL.B from the U.P. College of Law in 1936, passing the bar examinations the same year. The following year of 1937, he earned a Ph.B in English. Justice Castro was a scholar, student leader, debater, poet, writer, and editor-in-chief of the Philippine Collegian, 1935-1936. He was married to Natividad Hizon. Their children are Fred Ruiz Castro, Jr., Rowena Cristina Benipayo, Carlos Delano Castro, Frieda Teresita Castro (deceased), and Melisande Veronica Poblador.